Come Row in the Desert! Since 1991, Rio Salado Rowing Club (Rio) has worked to establish the sport of rowing in the Arizona desert. 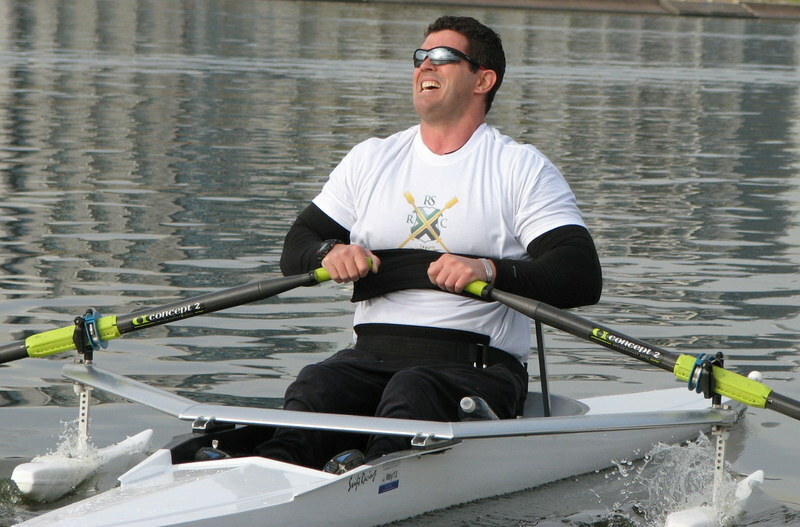 In 2010, we began partnering with community organizations to establish “Can Do Crew”, an adaptive rowing program which enables people with disabilities to enjoy the health, fitness, and social benefits of recreational and competitive, rowing. We have also hosted adaptive rowing clinics led by U.S. Paralympic Team rowers and coaches. Additionally, our “Can Do Crew” adaptive athletes have won medals at local, national, and international adaptive rowing competitions, like the Bayada Regatta and C.R.A.S.H.-B. indoor rowing championship. In 2012, we earned our designation as a U.S. Paralympic Sport Club to foster the participation of people with disabilities in sports and physical activity. “Can Do Crew” adaptive rowing is an all-volunteer effort, with many individuals contributing their time, talents, and donations to realize our vision of rowing for all. (If you're interested in volunteering, click on the "Get Involved" tab, at the top of the page.) Numerous community organizations and rowing programs have also contributed their invaluable support, resources, and guidance, as we continue to build our adaptive program. Adaptive rowing programs, athletes and coaches throughout the country! If you'd like to get involved with our Can Do Crew, please contact us. We're sorry but you don't have a shopping cart to add a donation. Please log in. We're sorry but you don't have a shopping cart to add a lesson. Please log in.